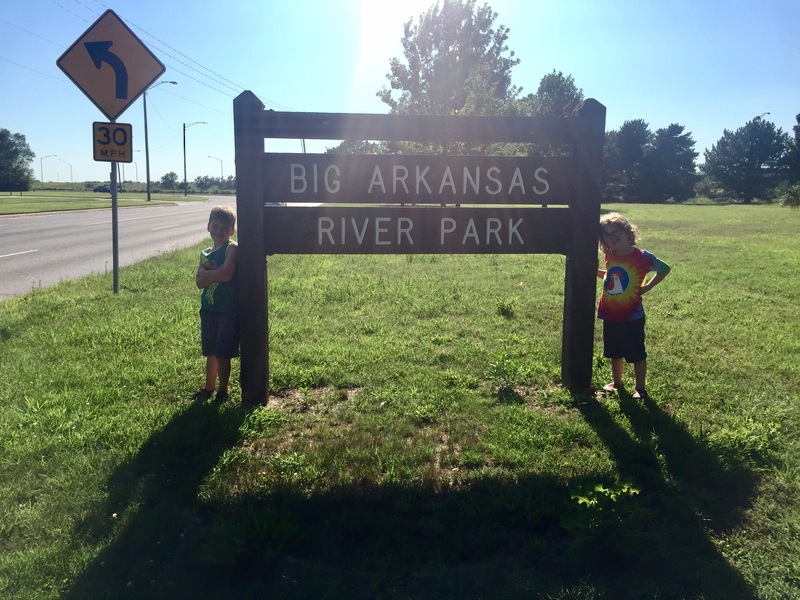 Big Arkansas River Park is at 3900 W. 21st Street, which is near 235 and Zoo Boulevard. 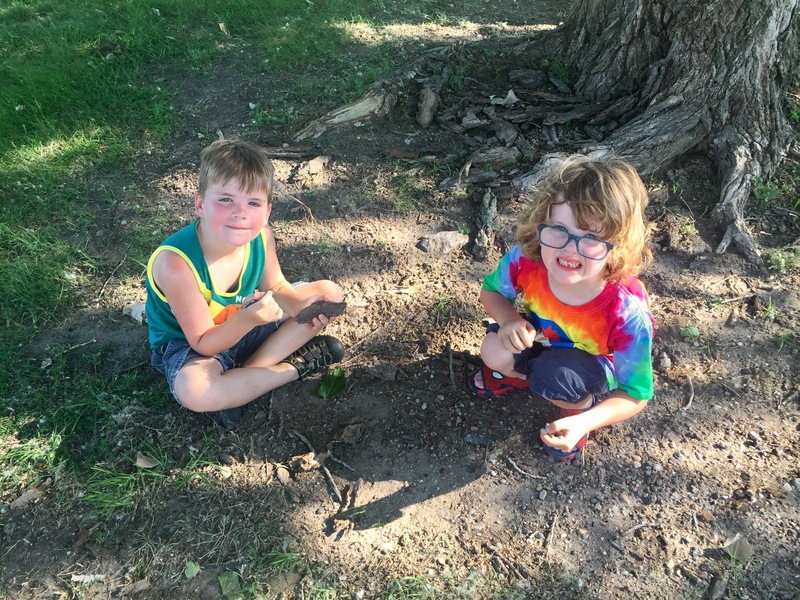 The Wichita Parks and Rec website states that the Westdall Bicycle Lane connects to the Arkansas River Bike Path here. There are three colorful info boards that look to be new. 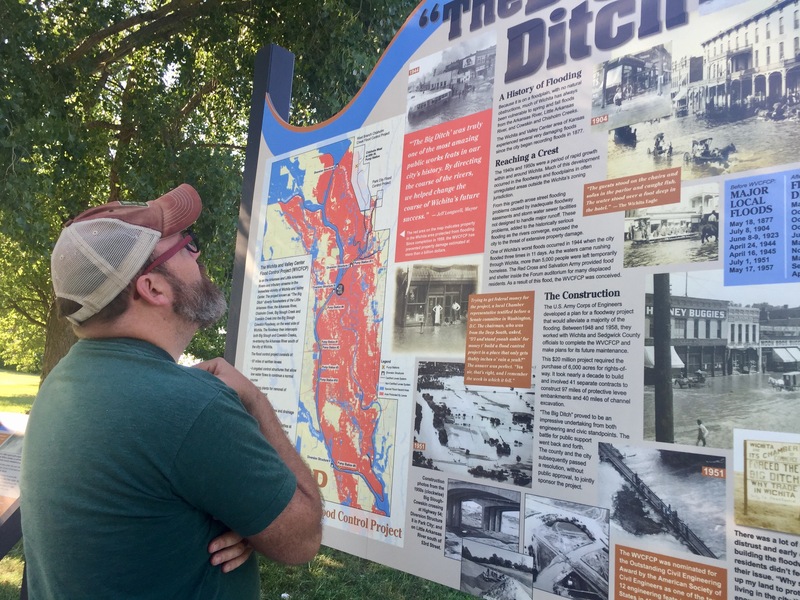 One was information on Big Ditch Mitch and the others detailed history on floods in Wichita and the history of the Big Ditch. It was fascinating! 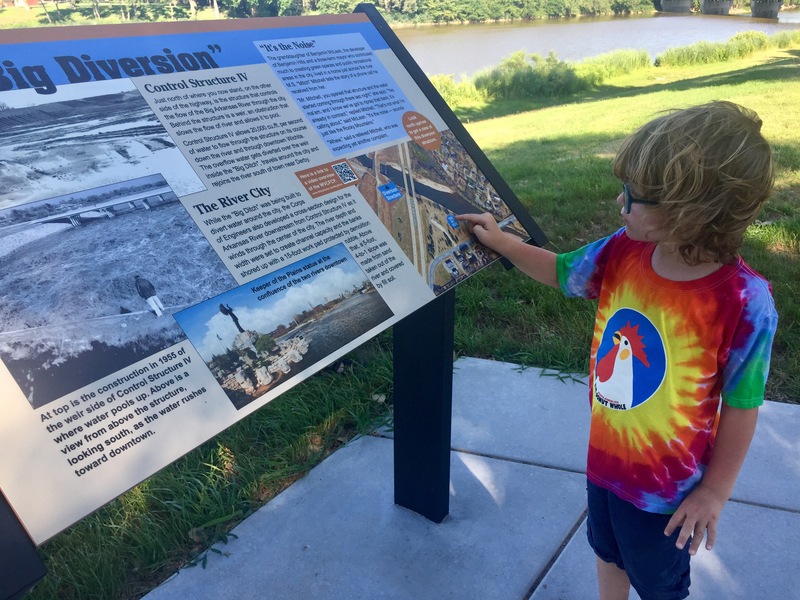 Mom Tips: Older kiddos might be more interested in this park, as the history was a bit over my boys’ heads. There were people walking through the water, so it was hard to convince my two that they could not do that. Maybe I’ll bring bikes next time so we can hit the trail – that looked cool! Kid Tips: They were a bit peeved I wouldn’t let them get in the river. They did think the pictures on the history boards were pretty cool, though.